Critical care monitoring and services for emergencies that occur after regular hospital hours are locally provided for us by the Great Lakes Pet Emergency Hospital. The doctors and staff at GLPE provide high quality and often life saving care for patients of Riverside Animal Clinic and several other referring veterinary hospitals from the Great Lakes Bay area. We also frequently refer our patients to Michigan State University's Emergency and Critical Care Services Center for monitoring and services. The ECCM Service is staffed by three specialists—board certified Diplomates of the American College of Veterinary Emergency and Critical Care Medicine—and a team of residents, staff veterinarians, and licensed veterinary technicians. 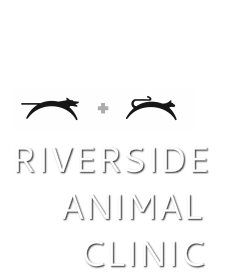 Please identify yourself as a valued client of Riverside Animal Clinic when you visit any emergency animal hospital. We receive a faxed report notifying us of the specifics of your pet’s visit. This enables us to update your pet’s medical records and follow up on any necessary details. Wondering if your situation qualifies as an emergency? Curious about what to expect, and what to bring with you? Great Lakes Pet Emergency has excellent information about these and other questions here. 736 Wilson Rd., East Lansing (Bogue and Wilson Roads on the MSU Campus).